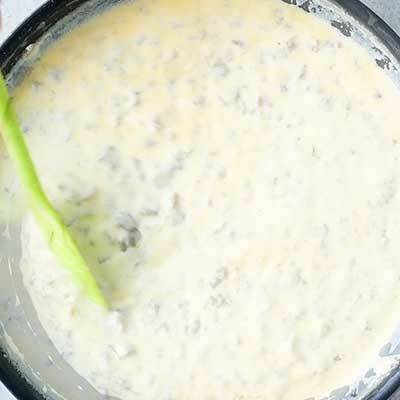 Get your comfort food fix with this base recipe for classic sausage gravy. 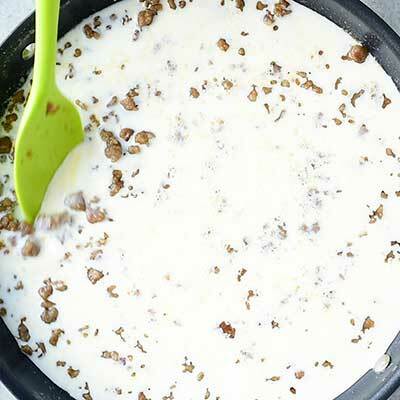 Perfect for a lazy morning and ready in less than 30 minutes! This is another breakfast food that The Husband had to introduce me to in the first few years we dated, and I’m so glad he did – it’s become both my ultimate comfort food and the best way to start a lazy Sunday. … Which, of course, I try to have as many of as I can. Today is certainly a lazy day for me – or, more accurately, this whole weekend was lazy. We did most of our July 4th celebrating on Friday, but nothing wears me out quite like alcohol and hot, humid weather, both of which made up about 93% of our Independence Day celebrations. I can handle a little bit of heat or a little bit of drinking on their own, but together, they are my kryptonite. It drains my energy and takes me days to recover, which means I’ll only have begun to start feeling like myself again come Tuesday morning. But it was totally worth the cost (fun, friends, and seeing how happy The Boyfriend was to watch things explode) and most definitely worth the reward: I had the perfect excuse to make some gravy and biscuits. Nothing cures a “good day hangover” more than delicious comfort food, amirite? I hope everyone had a great holiday weekend, and if you’re feeling worn out like me, take my advice: whip up a biscuits and gravy recipe, curl up on the couch, and binge watch Netflix for a few hours. What kind of sausage should you use? To make this part easier, I tend to use store-bought breakfast sausage rolls. 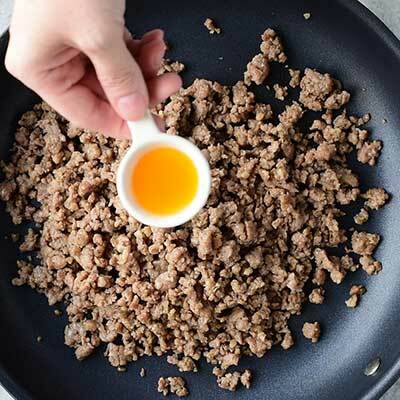 And besides, this is a great way to add an extra dose of flavor to your gravy, too, because you could spring for a flavored breakfast sausage. I know, I know, this point is kinda obvious, but sometimes we get so wrapped up in cooking that we overcomplicate things and look to flavor everything from scratch. Which isn’t a bad thing, of course, but I think we can all agree that a little less effort in the morning is a good thing. So feel free to have fun with it! There are plenty of delicious flavors of sausage – maple and spicy, just to name a few – that would work great with this recipe! 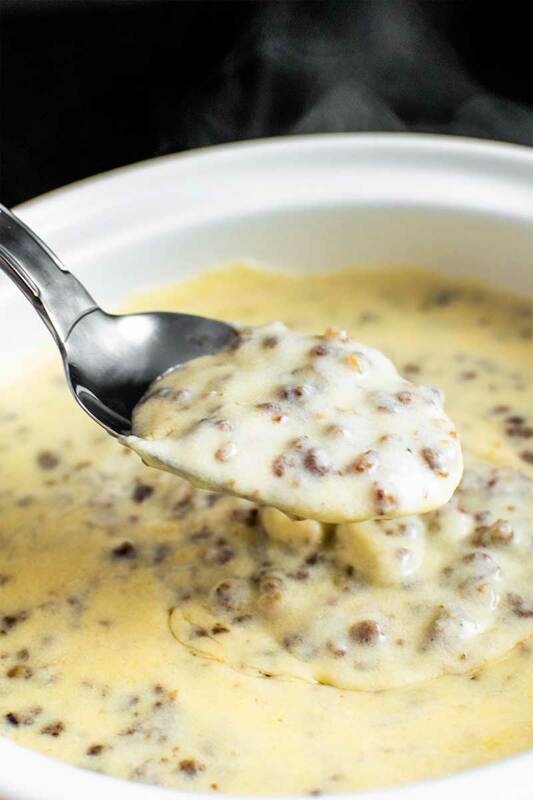 Can sausage gravy be frozen? Yes! You can totally freeze this gravy, but I should warn you: gravy tends to taste best on the day it’s made. To freeze: Allow the gravy to cool to room temperature, then transfer to a freezer bag or sealable container. Store in the freezer for up to three months. When ready to serve, let gravy thaw in the refrigerator overnight, then heat up in the microwave on in a saucepan on the stove. 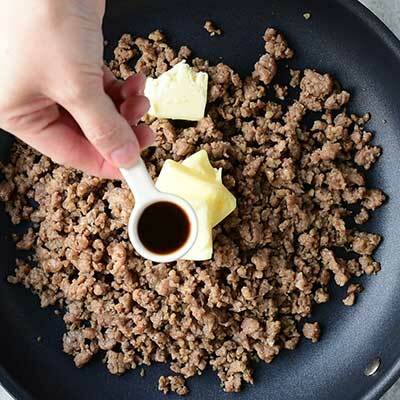 You might have noticed that this recipe is really simple, and that’s the point – it’s supposed to be a base recipe for sausage gravy. So while I personally think this recipe is delicious on its own, if you’re the type that likes to add your own personal touch to a dish, then feel free – this is the ideal recipe to experiment with! If you’re looking for suggestions on how to jazz up this gravy, check the comment section of this page – there’s a ton of great ideas from other readers like you! 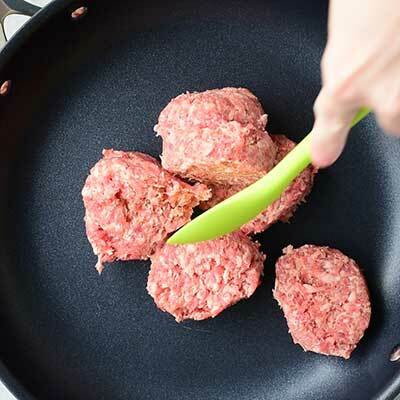 Step 1 – In a large skillet, cook and crumble a breakfast sausage of your choice. Once cooked, drain the excess grease, reserving a small amount. 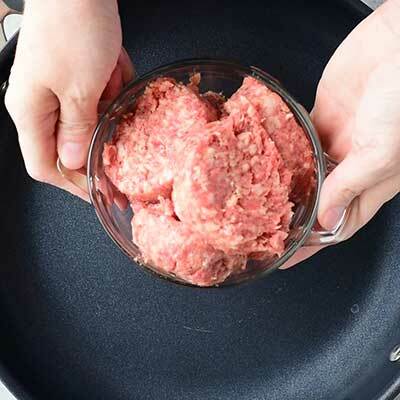 Step 2 – Add cooked sausage back to skillet, including a small amount of the reserved grease. 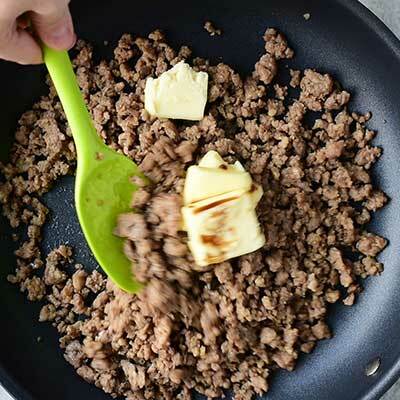 Also toss in the butter and Worcestershire sauce, then allow to cook, stirring frequently, until the butter is melted. 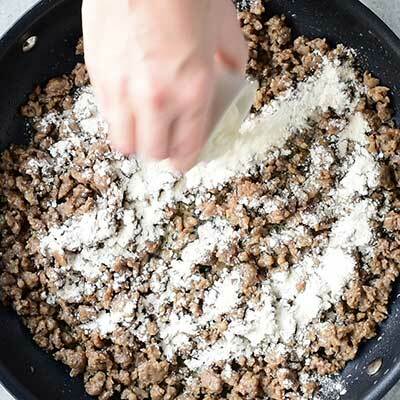 Step 3 – Dust the sausage with flour, then use a spatula to toss and coat the sausage. Continue to cook the sausage, stirring frequently, until the flour has absorbed most of the liquid, about three to six minutes. Step 4 – Pour the milk into the skillet, then bring to a boil. Continue to cook the gravy, stirring frequently, until the consistency is thick and creamy. 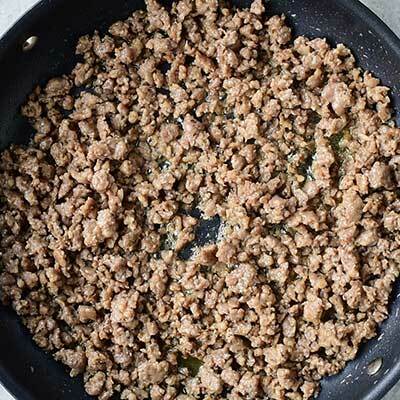 In a large skillet, cook and crumble sausage over medium heat. 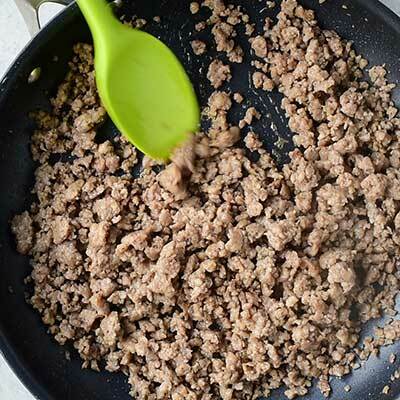 Once cooked, drain sausage, but reserve 1 tablespoon of sausage grease and return it to the skillet. Discard any excess grease. 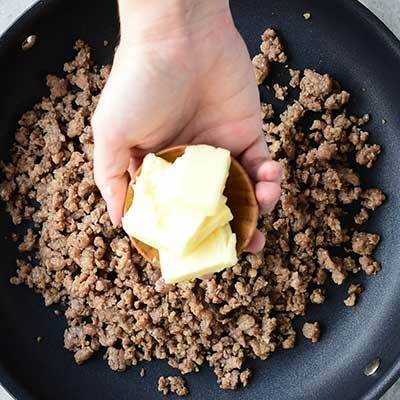 Add butter and worcestershire sauce to skillet with sausage heat until butter is melted, stirring frequently. 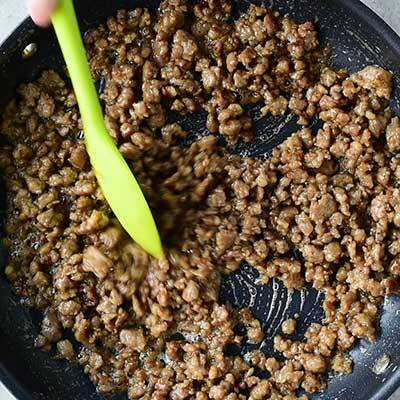 Dust sausage with flour and continue to cook, stirring frequently, until sausage is coated and most of the liquids have been absorbed, about 3-6 minutes. 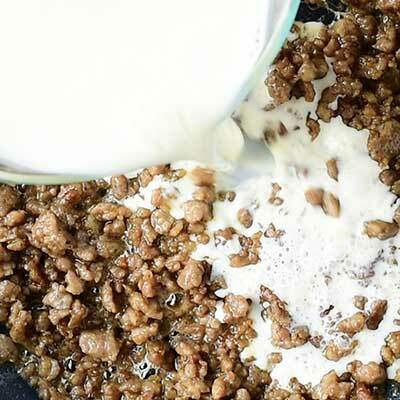 Pour milk into the skillet and cook, stirring constantly, for another 5-10 minutes or until gravy thickens to desired consistency. Recipe adapted from Self Proclaimed Foodie. I add sage when I add flour…then brown good before adding milk. Usually use evaporated. I add minced garlic, salt & pepper. I never drain the grease either. Love this recipe. Have not made the gravy in several years. I am a terrible cook, but I just made this gravy easily and used it for the base of a sausage breakfast pizza. It was amazing!! I add a slice of American Cheese… Never added Worchestershire… But will try it! I add a slice of American Cheese… and a couple shakes of Crushed Red Pepper. Never added Worchestershire… But will try it! 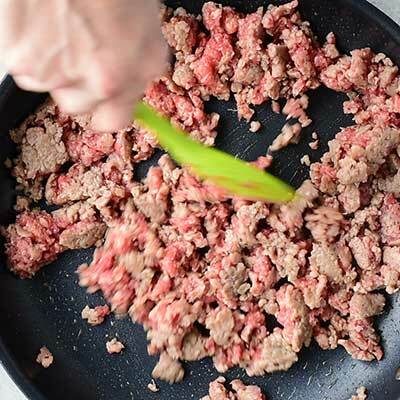 At the beginning of your recipe, you mention “store bought sausage rolls” as a convenience – how do you use them to make sausage gravy? 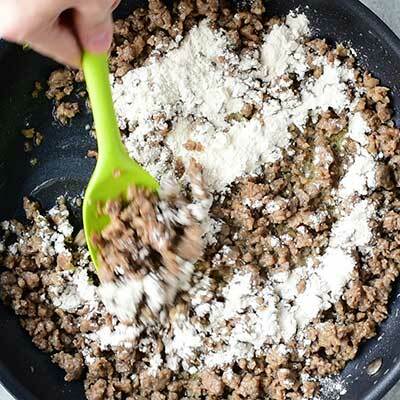 A great basic recipe for sausage gravy. Instead of the worcestershire try a teaspoon of kitchen bouquet browning sauce with the browned sausage. You can also use a teaspoon of chicken soup base instead of the salt. Use condensed milk instead of regular milk. Much richer.